Do you advertise on Facebook? Looking for ways to get your ads in front of the right people? With Facebook, you can set up location ad targeting for a specific address. You can then refine that audience to people who live in, have recently been to or are traveling in that area. In this article you’ll discover how to use Facebook’s advanced location targeting to drive engagement for your business. Thanks to Avtar Ram Singh for writing this article. 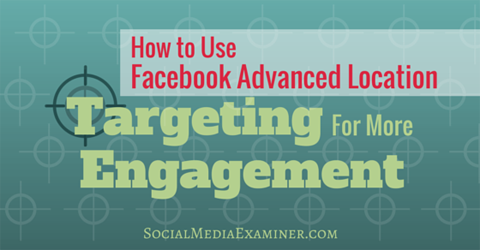 Discover how to use Facebook advanced location targeting for more engagement. What Is Advanced Location Targeting? With Facebook ads, you can already target users based on their country, state and city. This is useful if you’re a local business and you want to target users in a particular city, like Seattle, rather than show your content to the entire state of Washington. You can target ads to serve to Facebook users in a geographic location. To bolster their location targeting, Facebook now lets you target users based on a specific address. In the Locations field, you can enter a physical address or geographic location and target users who are around that area. Suppose that you want people to visit your bakery in Seattle. 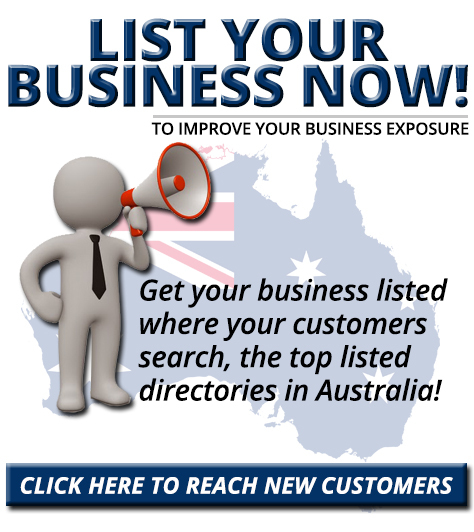 Simply type the address into your ad targeting and choose to target people who are in and around the business. Add relevant locations to your targeting. You might be a little skeptical about targeting people who are “around the area.” After all, someone could just be passing through or working in the area for the day. For a bakery, it makes the most sense to target “people who live in this location” because they’re more likely to become repeat customers. Here are some ways advanced location targeting might benefit your business. With a brick-and-mortar business such as a café, bakery, hotel, gym or retail store, you’re looking to drive foot traffic. So targeting your Facebook ads to people in your city or state would be ineffective because you’d be casting too wide a net. The better option is to use extended location targeting. Send a quick message to people who are in and around the area to let them know that your business is just a few minutes away. Use location targeting to reach people who are near your business. On a warm sunny day, ask people to stop by your store for ice cream or other refreshment. On a rainy day, ask people to take shelter where you are and enjoy a hot cup of coffee. A few hours before lunchtime, send a targeted message to people promoting your lunch special and asking them to stop by to eat. 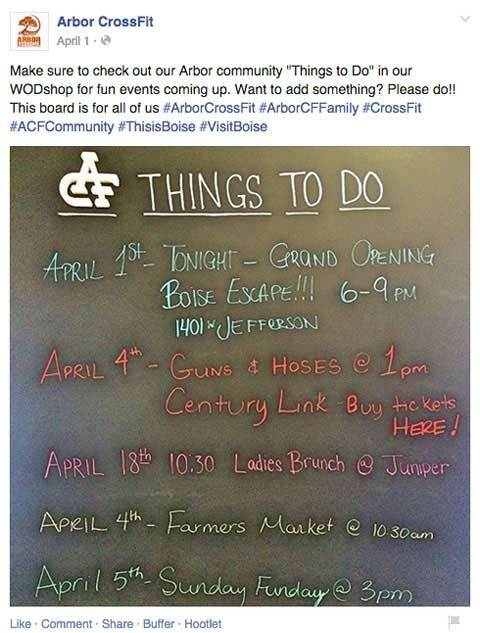 If you’re planning to have a sale or make a push for revenue during a specific time period, you’re likely committing advertising dollars to spread awareness and build anticipation for the event. That’s a great way to let people know about your upcoming event. But during the sale itself, you don’t want to cast a wide net to reach as many people as possible. Instead, target only the people who are near your location. During the sale, target your ads to drive foot traffic. Send a targeted message to people around your store, letting them know that the sale is happening now and it’s nearby. If you’re managing a chain of stores, set up customized messages for each location. Talk about special deals that may not be available elsewhere. Send a picture of people shopping in the store during the sale. By following this strategy during a sale period or product launch, you can more effectively optimize your ad spend. Your business may not be the only restaurant or coffee shop on the block or the only hotel or electronics store within a few miles. Focus on superior service, prices or loyalty programs, or a better ambience. Bring out the nuances of the surrounding area so people connect it with your business. Remember to avoid mentioning your competitors by name. Instead, talk about your location and position your business as the best choice. Unless you’re in the central business district of a large city, your business is likely located in an area that people call home. Most people are inherently proud of their neighborhoods, and where they live is significant to them. 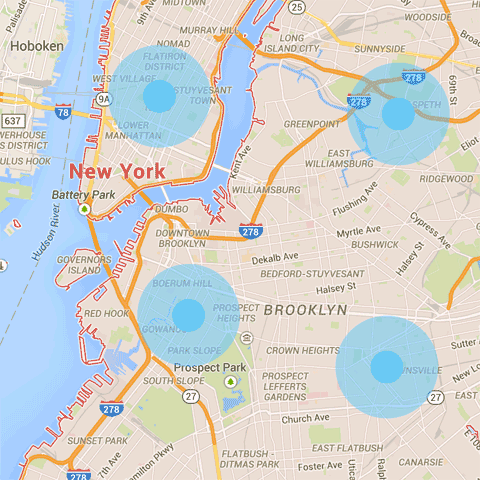 Use location targeting to promote things happening in your neighborhood. Talk about aspects of the neighborhood that you’re proud of. Post pictures of well-known people in the neighborhood interacting with you. Think of them as influencers who lend authenticity to your brand. Portray your business as part of the community. Showcase testimonials from people talking about why they do business with you. When making an emotional connection, it’s important to be authentic. Otherwise, your actions could have a negative impact on your business. Every city has popular landmarks that it’s famous for. These landmarks are where you can expect people to engage in a lot of social chatter and take lots of photographs. 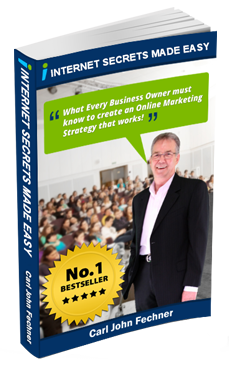 There’s a huge opportunity here for your business to tap into. With location targeting, create an association between popular landmarks and your business. Target people who are near those locations and deliver messages to them in real time. Talk about the location they’re visiting and link it back to your business. Identify popular landmarks near your business. It’s helpful to create a list of popular spots and mark them on a map like the one above. The map is a visual reminder of where you’re driving these associations and helps you come up with the messaging for your ads. Talk about the similarity in values between the landmark the user is visiting and your business. Tell people they can receive a discount at your business if they present a picture of this landmark. Serve up an interesting fact about the landmark to add something to the customer’s experience. As is often the case with new features, there’s a potential to use them to the detriment of other aspects of your business. So in addition to using extended location targeting for your Facebook ads, also remember to target people based on age groups, interests and other classifications that you typically use. Keep in mind that serving sales-related content too often to people might annoy them. Additionally, some people may be uncomfortable that you know exactly where they are. So don’t be too intrusive with your messages and monitor sentiment. If you get a lot of negative feedback, pause the ad and rethink your strategy. Finally, make sure the number of people you’re targeting isn’t too large or too small. If you’re targeting a densely populated area, it’s understandable that your ad will be seen by a large number of people. However, if you’re targeting a sparsely populated area and your ad is still being served to 100,000 people, reduce your target radius and interest categories. What do you think? Have you tried Facebook’s extended location targeting? Have fans responded positively to your ads? Please share your thoughts in the comments below.